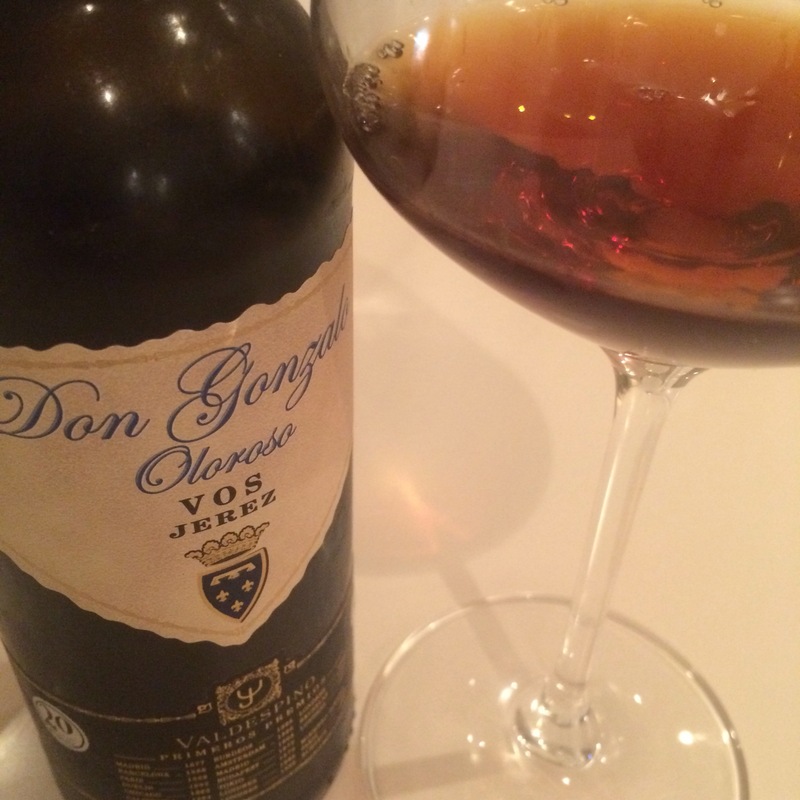 A VOS (20 year old) oloroso from Valdespino. Not a lot of information on the Grupo Estevez site other than that it is from wine sourced from a mix of vines from Macharnudo and Carrascal. It is a darkish hazelnut colour and has that extreme gasoline nose of the really old sherries – intense solvent/furniture polish. On the palate it is dry, intense, acidic, and concentrated, but above all bitter. Has the character of a much older wine – but essentially bitter flavours, from black burnt caramel to tobacco and cedar wood. Not absolutely my cup of tea – a little harsh, astringent and agey but it is good stuff nonetheless.